Please note that the content of this book primarily consists of articles available from Wikipedia or other free sources online. 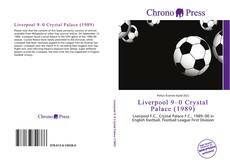 On September 12, 1989, Liverpool faced Crystal Palace in the fifth game of the 1989-90 season. Crystal Palace were newly promoted to the Division, while Liverpool had been narrowly pipped to the League Title by Arsenal last season. 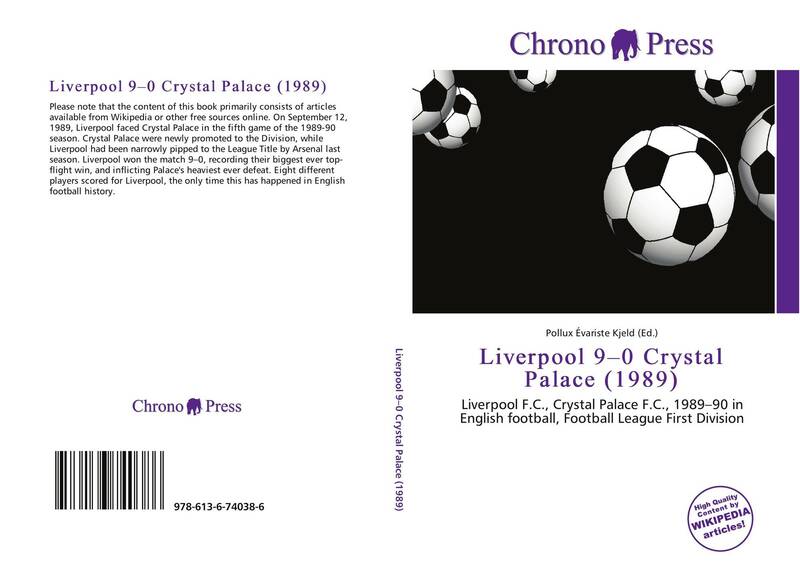 Liverpool won the match 9–0, recording their biggest ever top-flight win, and inflicting Palace's heaviest ever defeat. Eight different players scored for Liverpool, the only time this has happened in English football history.